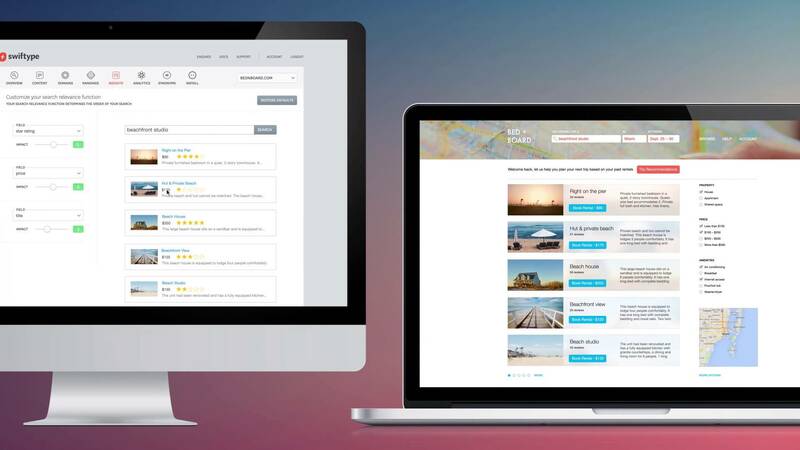 The search platform your content deserves. 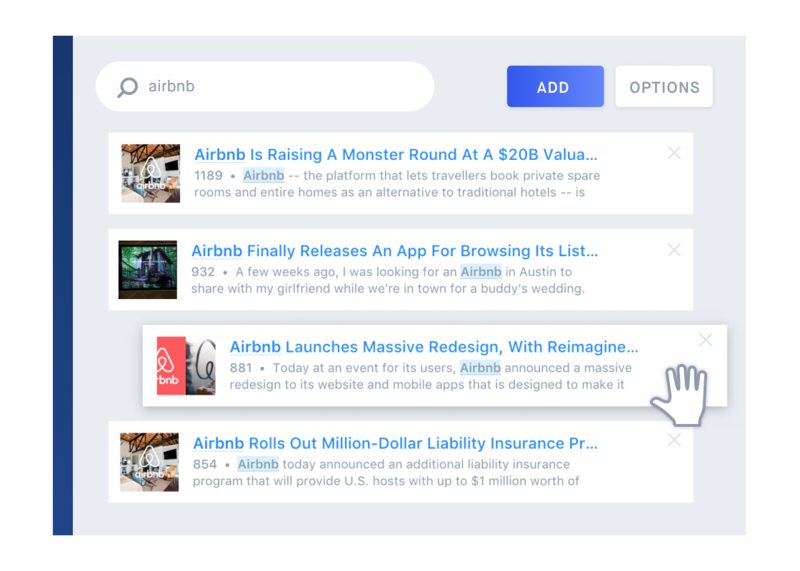 Swiftype Site Search helps you sell more, get the right answer to more people on your platform and surface relevant content for your readers and followers. Swiftype in 90 seconds — Learn how Swiftype can help you increase engagement with your audience, mitigate support requests and increase conversion on your website. Adding search to your website is a simple task with Swiftype. Enter your website’s address and Swiftype will index your site and create your search engine in real-time. 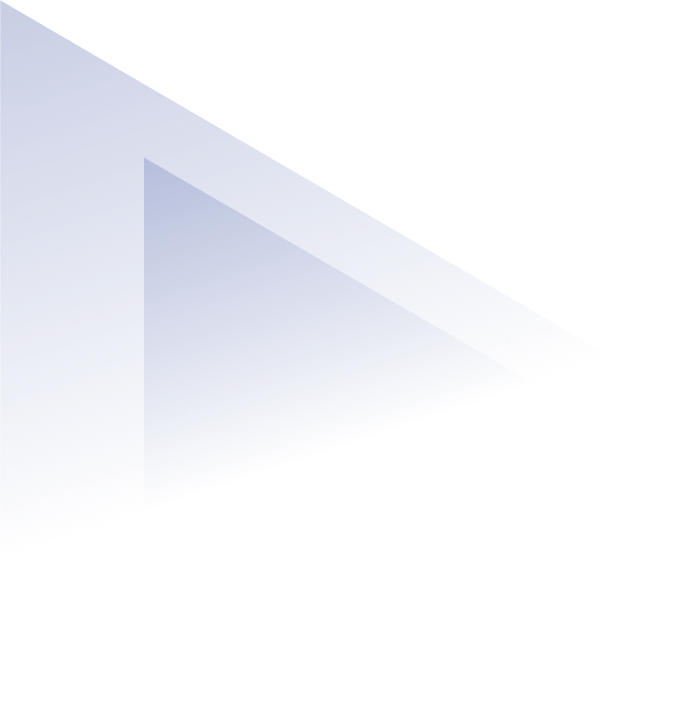 No coding is required, but developers can use our API for extra control. 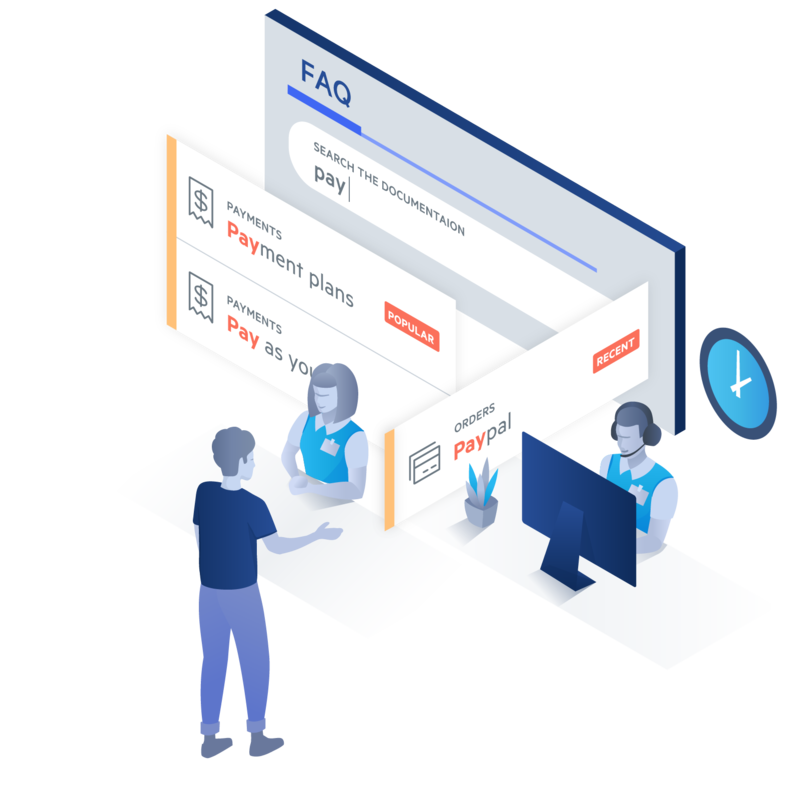 In no time, you can rollout an intuitive and world-class search experience to your users, readers or customers with all the functionality they expect. 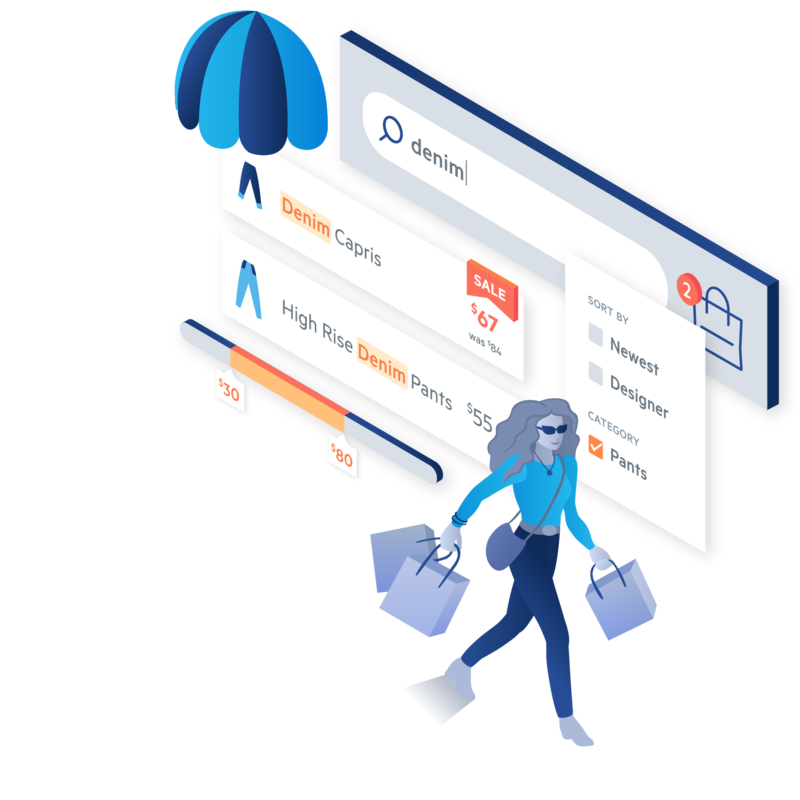 With complete control over style and functionality, search feels like a core element of your web experience, and not an afterthought, which drives higher engagement and results. Want to keep things even more simple? Use Swiftype’s Search Overlay, which displays results on every web page without any changes to your website’s markup. Guide users to the content, answers or products that matter most with real-time results right as they type. 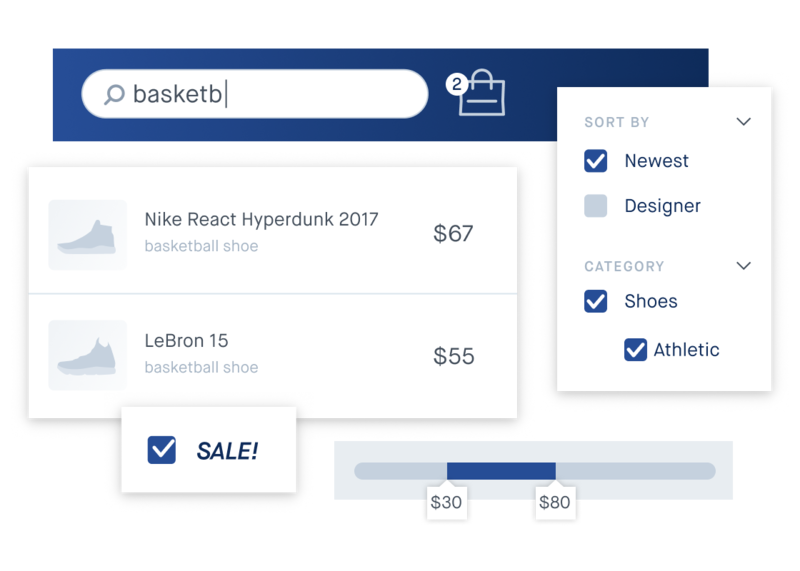 Faceted search dynamically expands on simple search, allowing your users to refine results by attributes such as date, price, author, location, or content type. 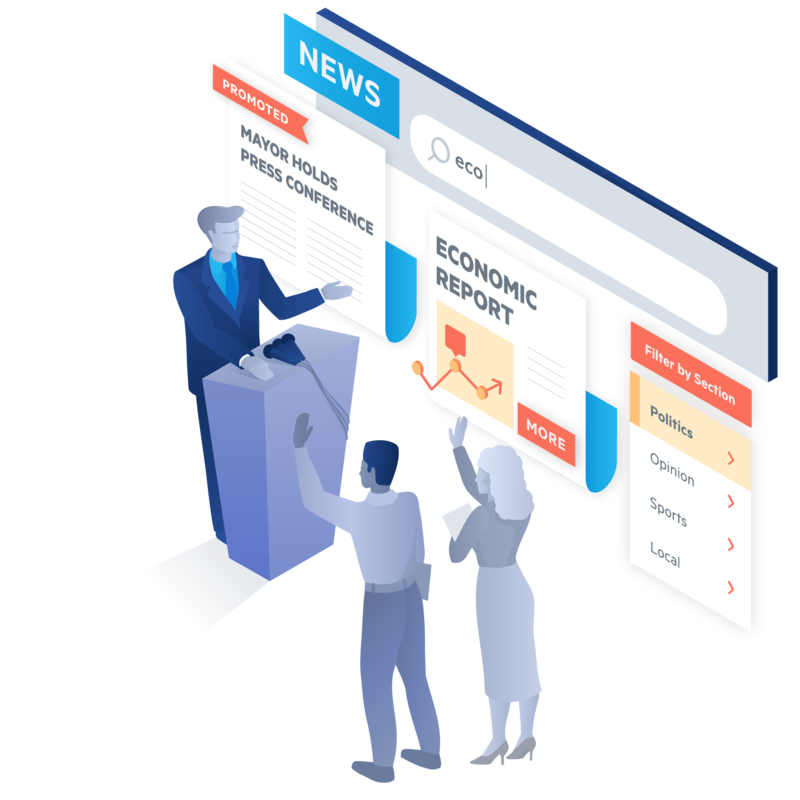 Add contextually relevant search modules to any page or section on your website and engage users in an even more direct, relevant fashion while surfacing related or promoted content. 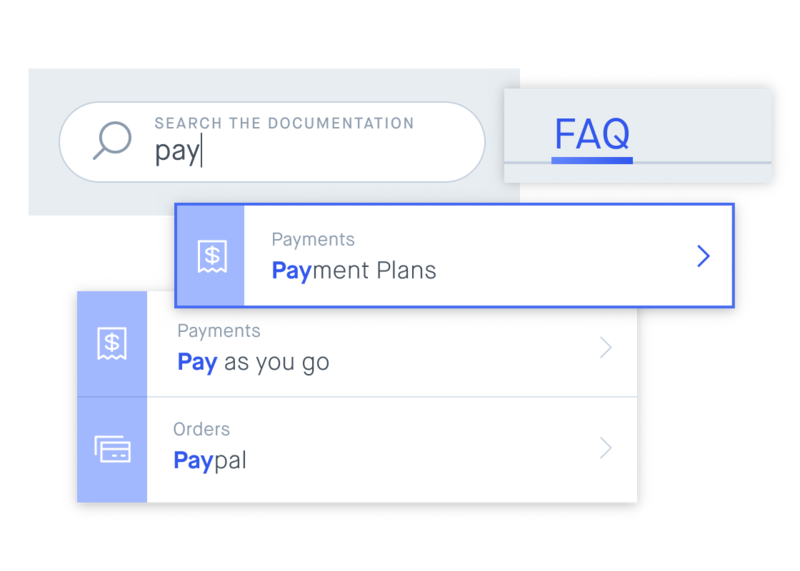 Whether you are looking to increase conversion rates on your online store, or generate higher engagement for your online publication, Swiftype comes packed with features to help you achieve your business objectives in no time. 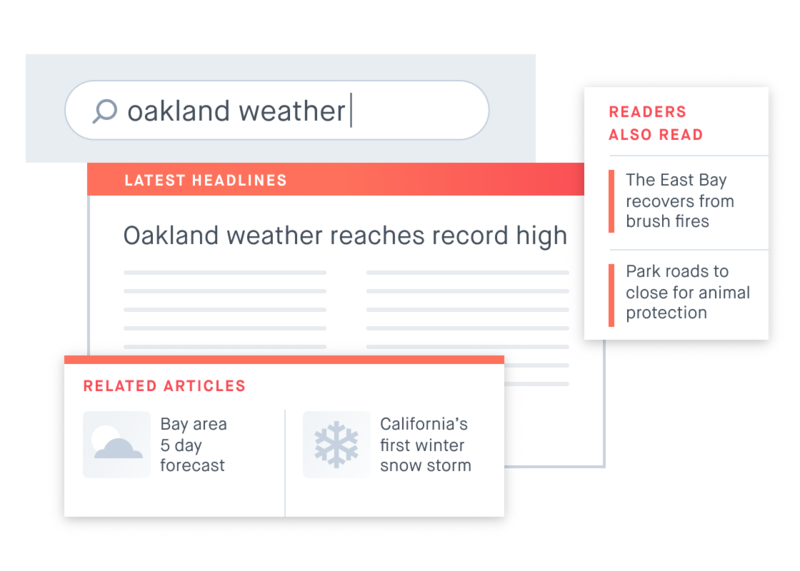 Swiftype is built on an advanced search algorithm that delivers relevant results for even the most complicated queries. 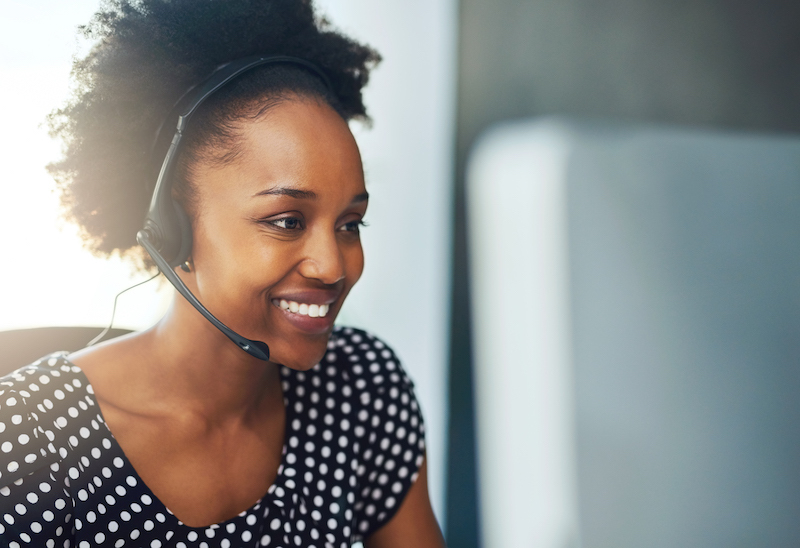 With our language modeling intelligence you can expect that users will be able to search intuitively and always find the content they’re looking for. "fast food" does not equal "food fast"
Offering both the flexibility of an API platform and the simplicity of an intelligent web crawler, Swiftype can capture content instantly, keeping your search results fresh, with automatic syncing. 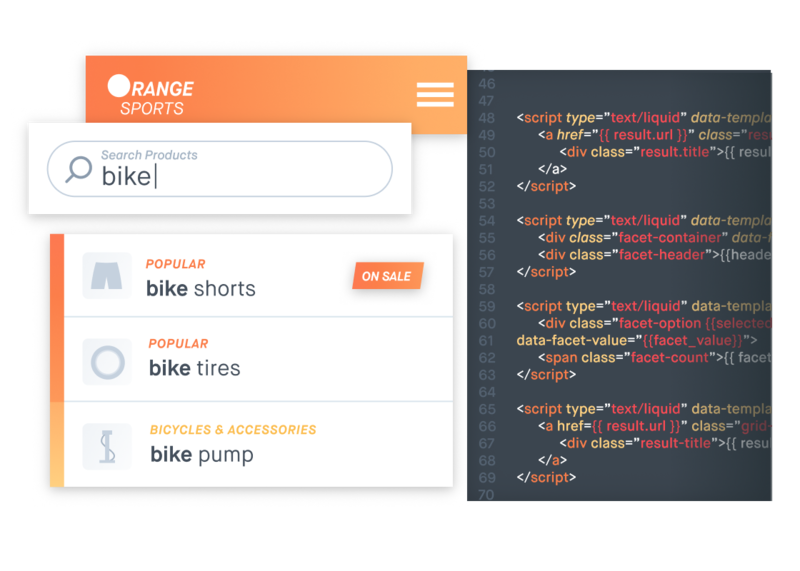 Using custom schemas, metagging and custom extraction, Swiftype shapes unstructured information into highly-structured data, ensuring optimal relevance and rich result display. Simply enter a domain to crawl and Swiftype does the rest. 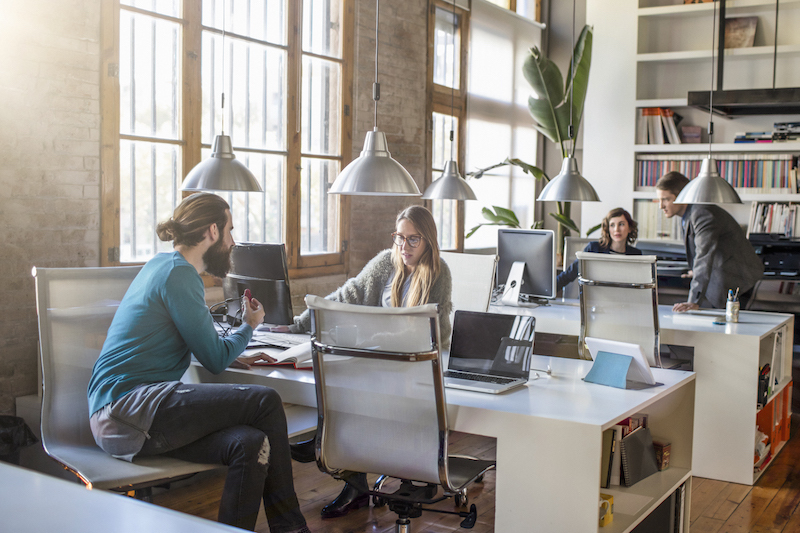 Create document types and record schemas, and index content in real-time. Searches and clicks are the clearest expression of what your audience or customers want. Swiftype Analytics offer unique insight into the ways users are interacting with your search experience, and measurable and actionable searching information is at your fingertips. Not only does Swiftype surface the most important data points and performance indicators for your search, but it also gives you all the tools to take action and improve its performance. Swiftype’s patented technologies allows you to tweak your search engine’s output globally or on a per-query basis. 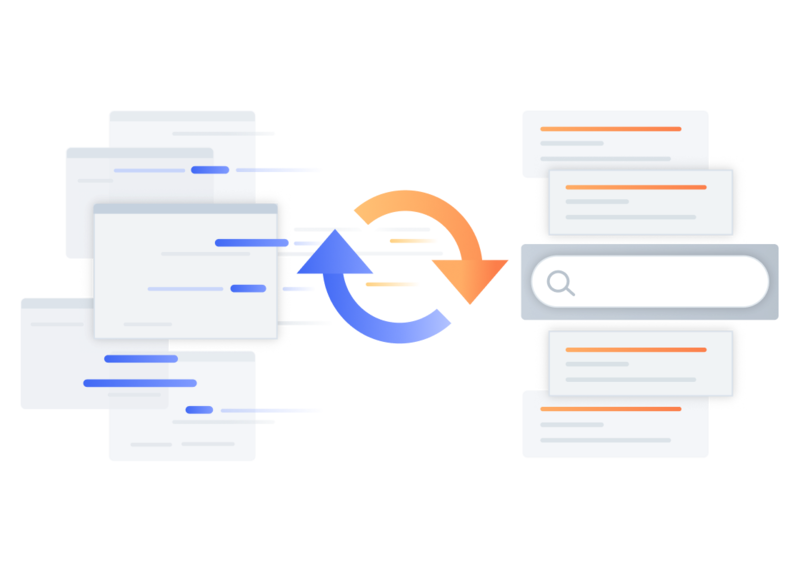 Customize the search output of specific queries in no time, using a simple drag-and-drop interface. 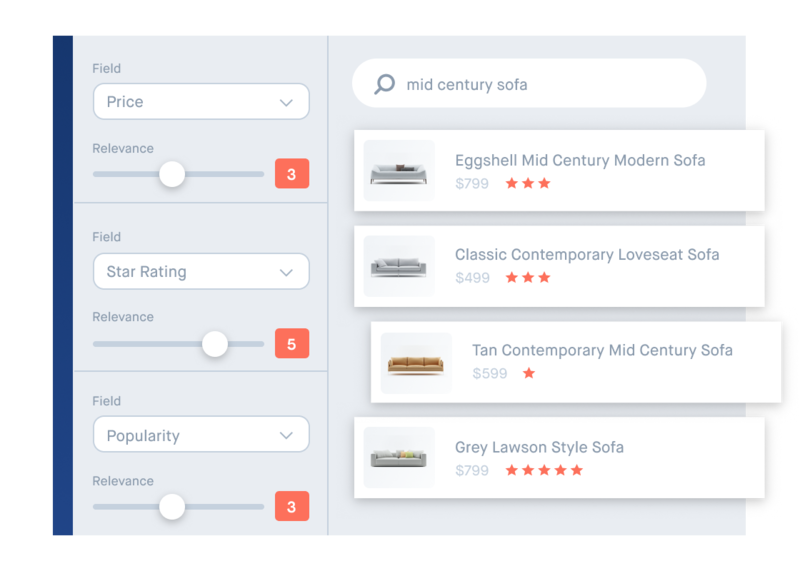 Control how different attributes—product rating or article popularity, for example—impact search results. 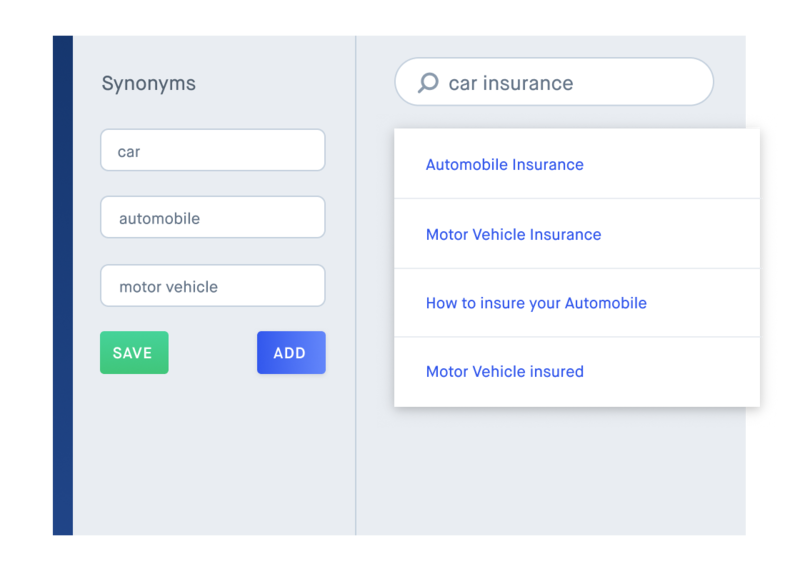 Create associations between different search terms to properly capture user intent regardless of their vernacular. 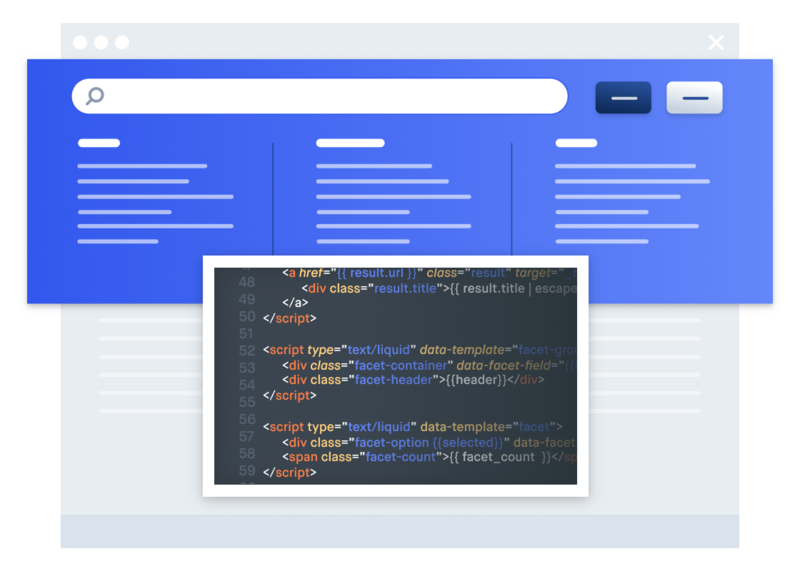 Complete with developer-friendly APIs for both content acquisition and querying, Site Search lets you create custom search experiences freely with the tools and extensive documentation you need. Create custom record schemas, index data in real-time, embed search seamlessly into any user interface or website, and programmatically track events. If you need an even more robust API for your applications checkout App Search. We’ve found Swiftype to be a goldmine of analytics data—seeing what people are searching for, finding, and not finding. Migrating from Google Site Search? Intuitive tools that let you fine-tune results globally or on a per query basis. 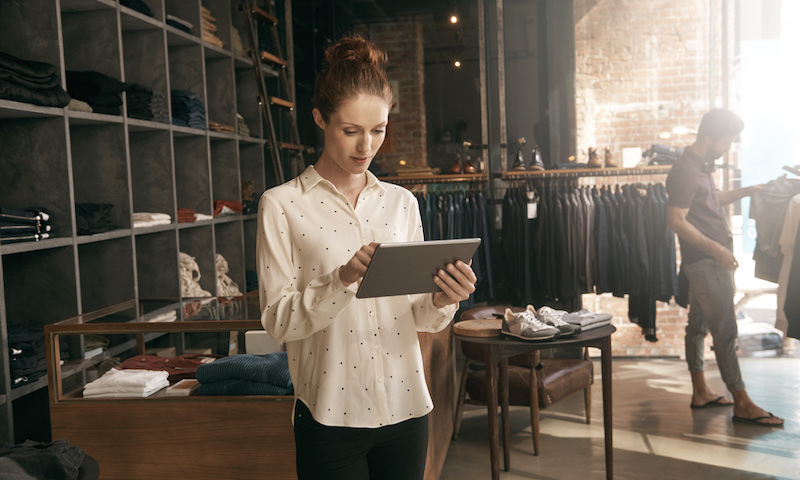 Granular data that helps you make business decisions rapidly. SOC 2-compliant dedicated security policies, processes and technologies. Powerful indexing and search APIs that let you build customized integrations.